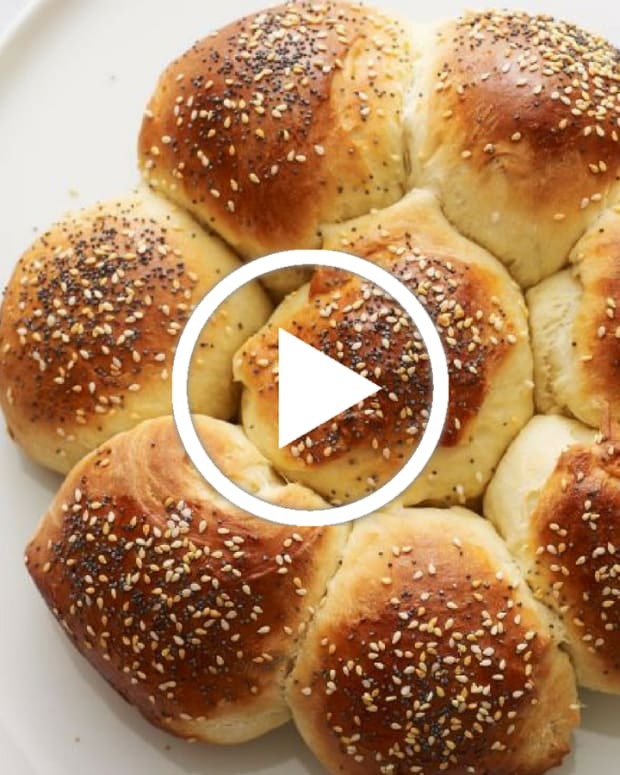 This savory challah is made with olive oil and flavored with za&apos;atar (a middle eastern spice blend). 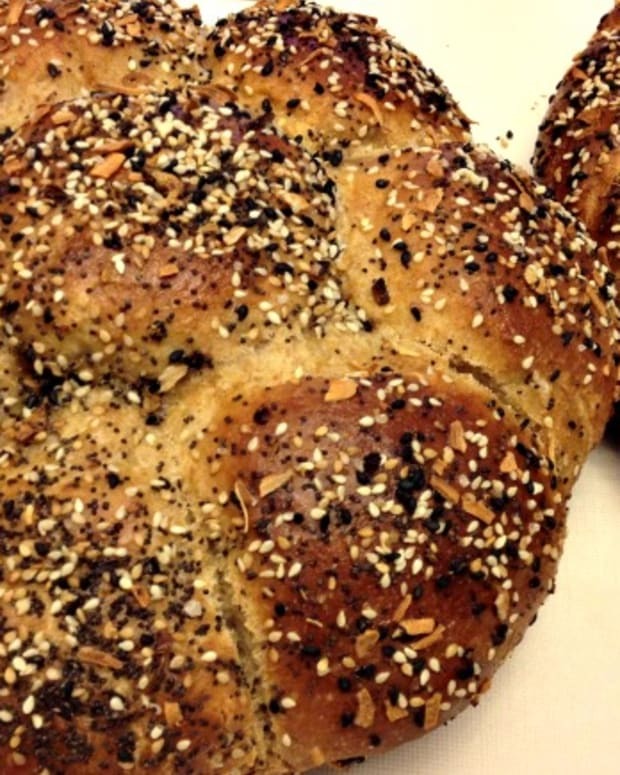 If you like to serve hummus with you challah, you will love this recipe. 1. In the bowl of a food processor, fitted with a dough blade, combine yeast and ¾ cup of flour. Add warm water and pulse until smooth. Let flour mixture stand, uncovered, for 10 to 15 minutes, until the mixture is foamy. 2. Add 2 eggs, oil, sugar, and salt; pulse until smooth. Add the remaining flours and pulse until all ingredients are incorporated and the dough holds together in a ball. 3. Knead in the processor for 5 minutes more. 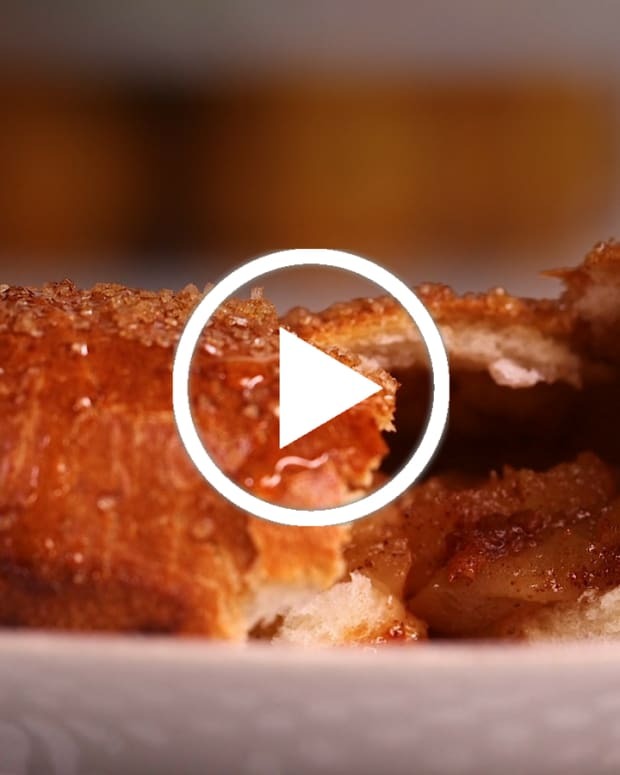 If it looks too sticky, sprinkle with more flour. 4. Grease and lightly flour a large resealable bag. Place kneaded dough inside and place in a warm, draft-free spot. Rise for 1½ to 2 hours, until dough doubles in size. 5. Once dough rises, punch it down, place onto a lightly floured work surface, and pat into a large rectangle. Evenly sprinkle za’atar and olives over the surface of dough. Fold dough in thirds, and then in half to trap the seasonings inside, then knead until za’atar and olives are well integrated. 6. Line 1 or 2 baking sheets with parchment paper. 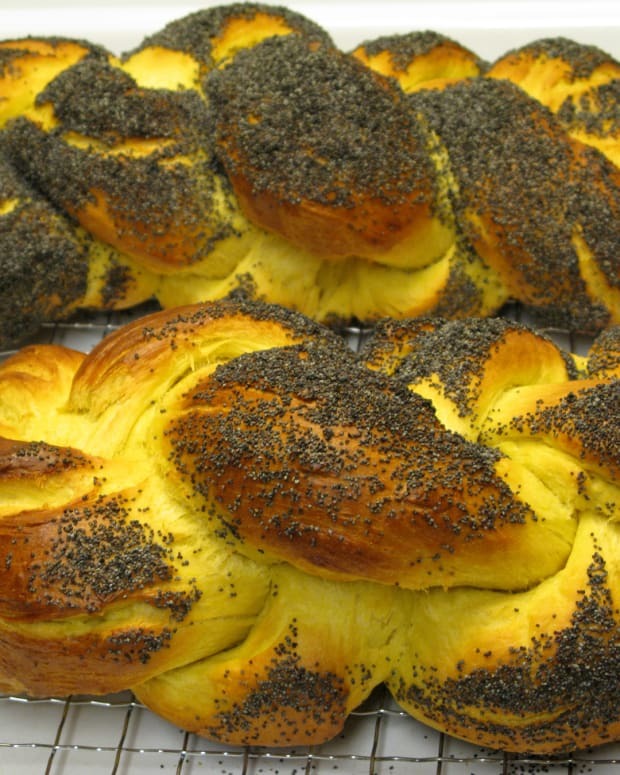 For 1 large braided challah, divide the dough into 3 equal pieces. 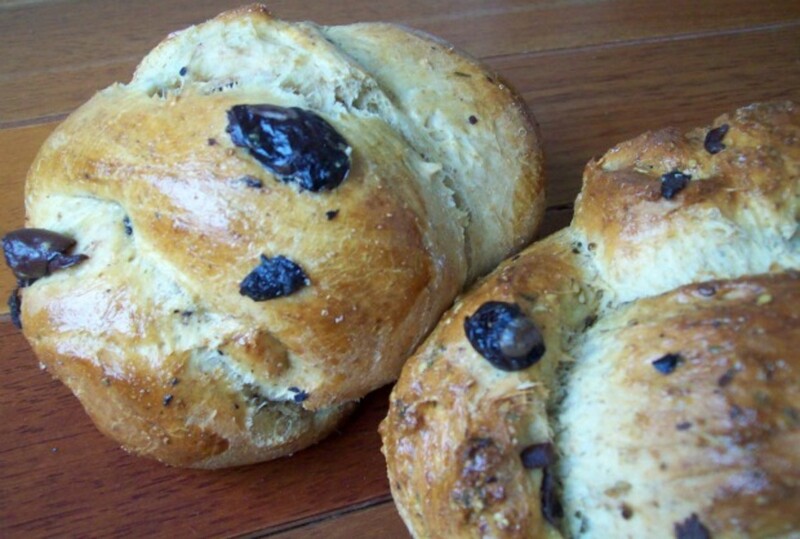 For 2 smaller challahs, divide the dough into 6 equal pieces. For rolls, divide the dough into 10 to 12 pieces. 7. Roll and shape dough with your hands to form even ropes. 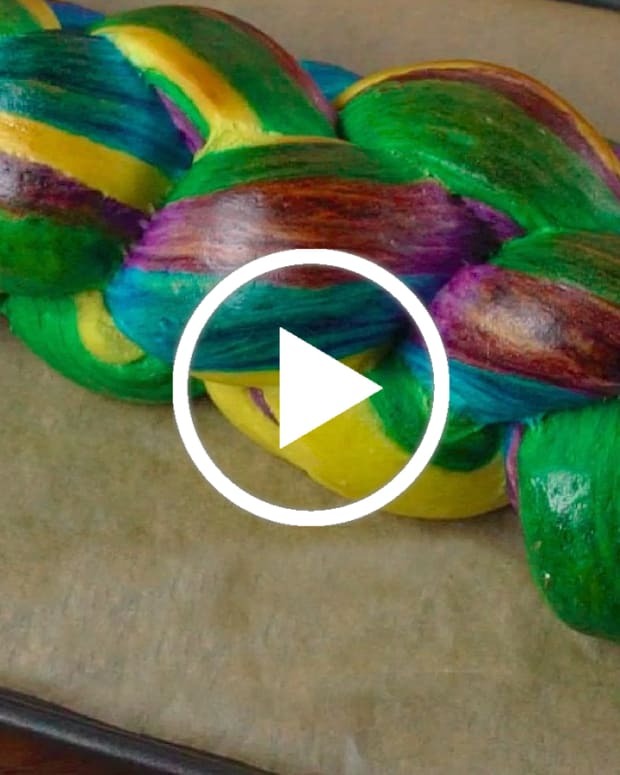 Ropes should be about 10 to 12 inches long for a large challah, 8 inches long for smaller challahs, and 4 to 5 inches long for rolls. 8. Once shaped, cover dough with plastic wrap. Let dough rise for 1½ hours, until doubled in size. 9. Preheat oven to 350°F. Beat together 1 egg and 1 to 2 teaspoons of water to make an egg wash. Using a pasty brush, evenly brush the loaves and/or rolls with the egg wash.
10. Bake in a 350°F oven, until the loaves or rolls are well browned and glossy and make a hollow sound when tapped. 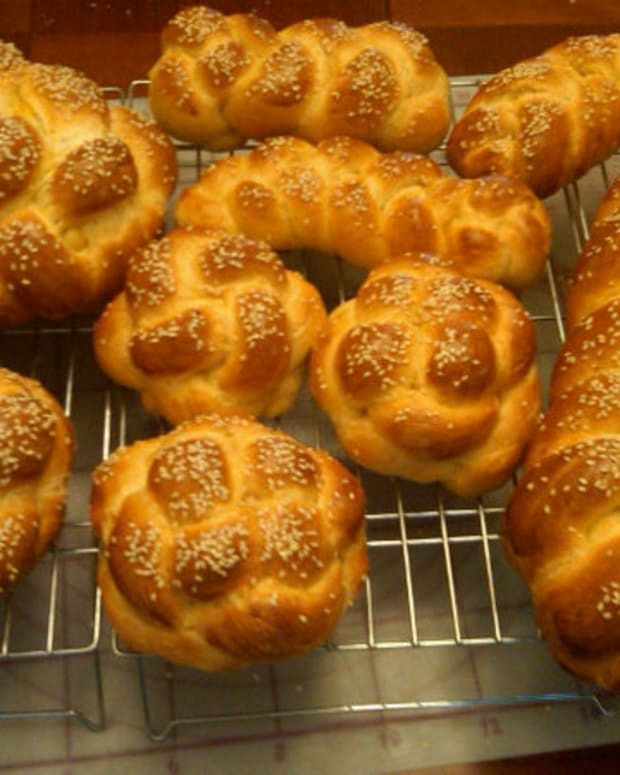 Bake 15 to 20 minutes for rolls, 30 to 35 minutes for small challahs, and 40 to 45 minutes for a large challah. Remove from oven and cool before serving.